Another nice, warm day for tennis! Glad everyone brought their water! In the first match (blue vs. red), Gabriella and Jordyn got Blue off to a good start by defeating Paige and Faizaan of Red by a score of 7-0, 7-5. In the second doubles, red won by default. Singles had some good, close sets. In the first matchup, Andrew defeated Finn 7-1, 3-7, 7-4 in a match that featured some fun rallies and lots of scrambling. In the second singles matchup, Gabriella of Blue defeated Laila ofRed 7-4, 7-5. The second matchup saw Yellow and Lime get into a lot of close 3 set matches. In fact, every match was a 3-setter except for the one doubles match, which was a tight 7-6, 7-6! What a battle. In fact, every third set also ended by a score of 7-6! In the first doubles matchups, Manuel and Katie of Yellow defeated Aarav and Sydney of Lime in a close 7-6, 7-6 match. In the second doubles matchup, Isabella and Hayley of Lime narrowly edged out Ruby and Lily of Yellow 7-6, 4-7, 7-6. In a fun singles match featuring 2 very speedy players, Teilo of Lime defeated Manuel of Yellow 7-5, 5-7, 7-6. In the second matchup, Ruby of Yellow edged out Hayley of Lime 6-7, 7-5, 7-6. Nice comeback! We started things off in the 10u division with a matchup between Blue and Red. At first doubles, Jaden and Yarrick of Blue defeated Dylan and Kai of Red 4-1. At second doubles, Owen and Zach of Red edged out Kierra and Ritsika (a substitute for the day from Lionville), for Blue by a score of 4-3. In a close singles match, Jaden of Blue defeated Alexandra of Red 4-2 and Yarrick of Blue defeated Laney of Red 4-0. 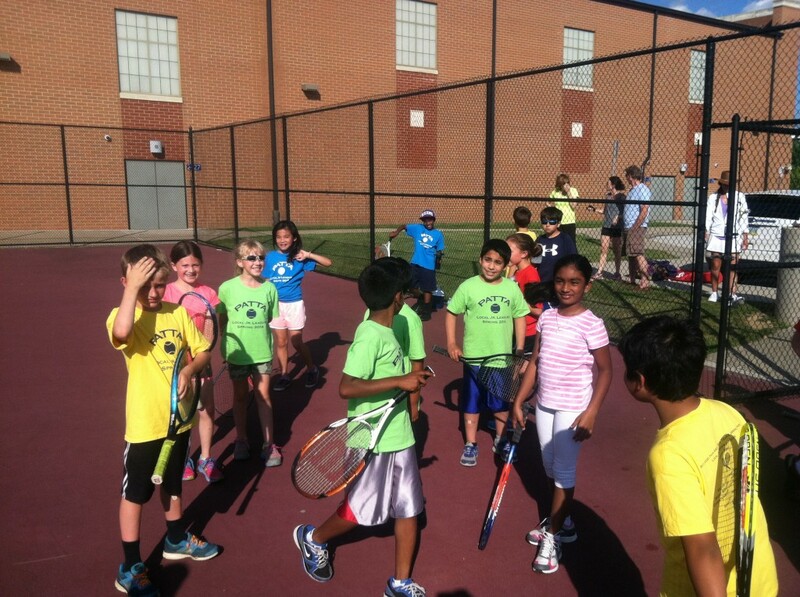 In the Lime vs. Yellow matchup, Bala and Emma of Lime started things strong with a 4-0 win over John and Sebastian of Yellow. Yellow answered back in the second doubles match, which saw Morgan and Howard winning 4-0 over Akanksh and Angelo of Lime. In Singles, Amaan of Yellow played well in his 4-0 win over Josh of Lime. Howard of Yellow won his match over Bella of Lime by a score of 4-2. We started things off with Blue vs. Red and a close doubles match. The brother duo of Nij and Shyam of Red defeated Geoffrey and Gabe of Blue by a score of 4-2. In the second matchup, Red won by default. 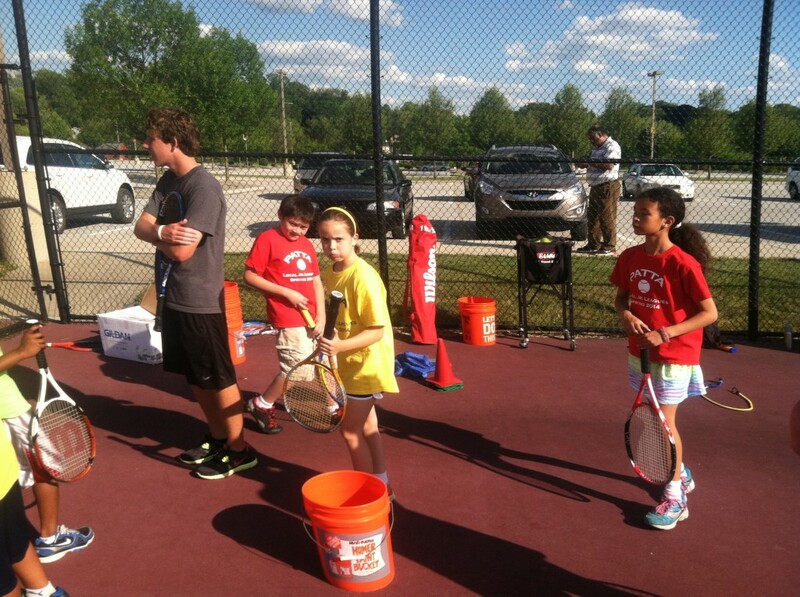 In singles, Maddie of Red won over Nia of Blue 4-1 and in a close match, Jon of Blue defeated Hunter of Red 4-3. This was another match in which the serves got more and more consistent as the match went on. Colin and Riley started things off well for Lime, taking out Aayush and Nathan by a score of 4-1 in doubles. In the second doubles matchup, Sarah and Joseph of Yellow defeated Cameron and Christian of Lime 4-0. In singles, Colin of Lime defeated Nathan of Yellow 4-1 and Ryann of Yellow answered back with a 4-3 win over Cameron of Lime.